Communication through applications is growing day by day and messenger applications has a large market on the world at the moment. Calling someone through these messenger is very ordinary at the moment and you can talk to your friends instantly without paying any extra on your bill. WhatsApp is one of these messenger which is providing these communication features to us. You can call and send message to people with this application and you don’t need to pay anything for these services (even international ones). Many individuals and many companies are using WhatsApp Messenger to make calls. This is also very good to call someone who is living abroad since it is free. You can call your friends with 2 different ways. We are going to tell you these ways step by step. 3-) On chat window, you will see a phone icon at the top right. (Please see the picture below for the location of phone icon.) Tap on phone icon and you will start the call. 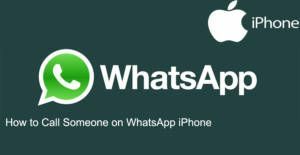 1-) Run WhatsApp Messenger on your iPhone or another iOS device. 2-) Tap on Calls on the menu. 3-) There is a Phone + icon on the top right of the page. (Please see the picture below to understand location of the icon) Tap on that icon please. 4-) All your contact list will appear on the screen. Select one of these contacts and make your call. All done! You can talk to your friend as much as you want. It is free and you won’t be charged because of any kind of calls. You can also video call your friends too with the video call feature of WhatsApp without any charge. 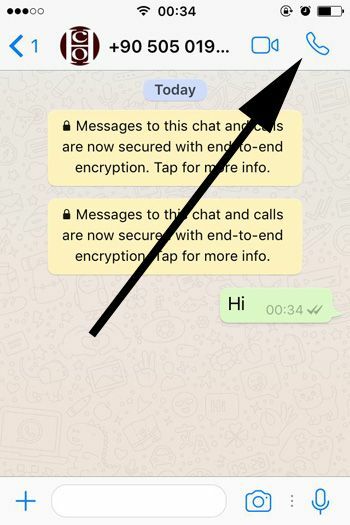 You can also check if you ever get any missed calls on WhatsApp.